I aggregate RSS feeds from the religious right. From the application I did a search on “Kavanaugh” and then opened the 20 21 (I intended to open 20) most recent posts from today in my browser. It is really eye-opening. From these folks who are obsessed with sanctimony there is not a single expression of concern about Kavanaugh. Reading through these, every article assumes that Kavanaugh's accusers are dishonest. It is an adventure in hypocrisy. All of these sites routinely expresses bigotry towards LGBT people. 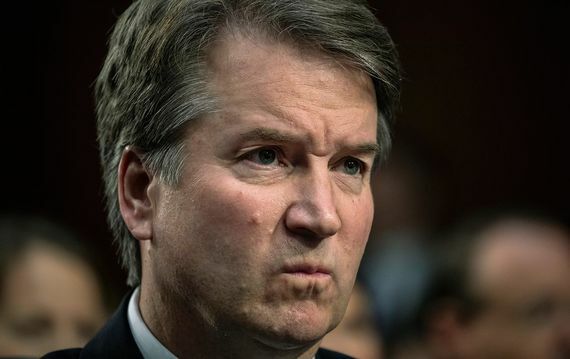 We are evil yet there is not an iota of concern that Kavanaugh might be an alcoholic who is guilty of sexual assault. We did not choose to be LGBT. Kavanaugh, it seems, made choices for his behavior. If the accusers are telling the truth then someone so thoroughly immoral is presumed to be acceptable because he is sufficiently anti-LGBT, anti-choice and pro-Trump. It is a version of: Under the Third Reich the trains ran on time. Keep in mind that, in addition to the accusers, there is evidence in the form of yearbooks and other things. The presumptive arbiters of morality, it turns out, are greedy, self-centered, self-righteous, unprincipled and amoral. As sexual minorities we have known this all along. Perhaps more Americans are now figuring it out. By the way, all of this would have disappeared if Kavanaugh had simply acknowledged his bad behavior as a teen and expressed some remorse. At this point Kavanaugh's behavior cannot be dismissed as bad judgment when he was young because, if the accusers are truthful and if the evidence is representative, then Brett Kavanaugh is also a liar. As a teen I was at a boarding school. Like most teens I did many things that were stupid but I never raped anyone. Nor did I consume alcohol (grounds for immediate expulsion). I got caught smoking a few times (threatened with expulsion). I was even off campus a few times when I should have been in my room. I was perpetually horny. Kavanaugh's alleged behavior is well beyond boys will be boys.